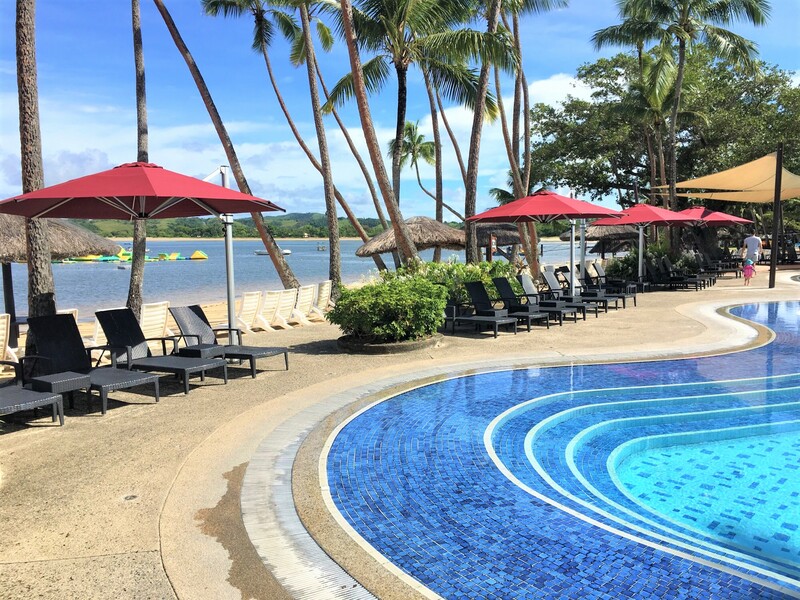 The Sheraton Tokoriki in Fiji have recently enhanced their front outdoor area with the addition of five giant Tempest commercial umbrellas. 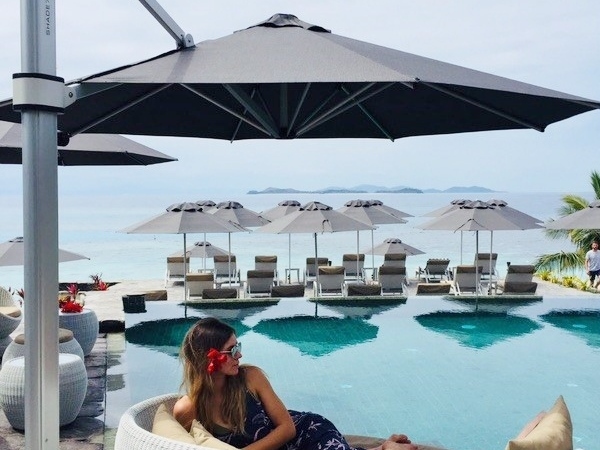 Five star luxury resort the Sheraton Tokoriki are based on one of the tropical islands in the Mamanuca group of Fiji. 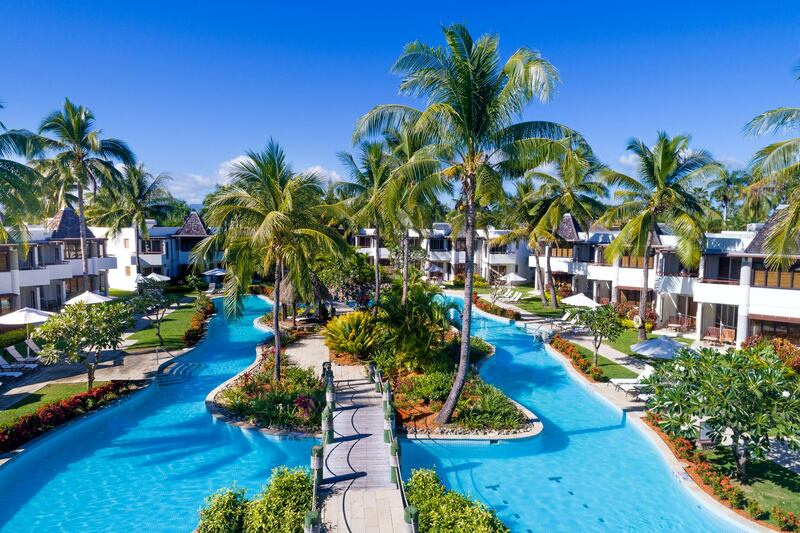 The resort features stunning sandy white beaches and tropical gardens as a backdrop to it’s beautiful 101 guest rooms, exquisite dining and luxurious guest services. 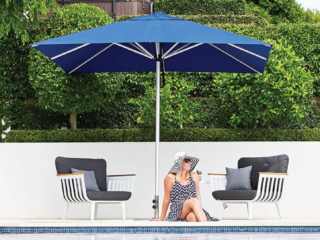 It is also now home to five giant Tempest commercial umbrellas from New Zealand company Shade7. 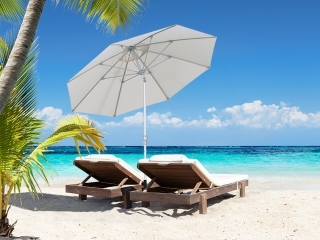 The tropical climate of Fiji means that the islands can be subject to some very extreme weather conditions and heat. 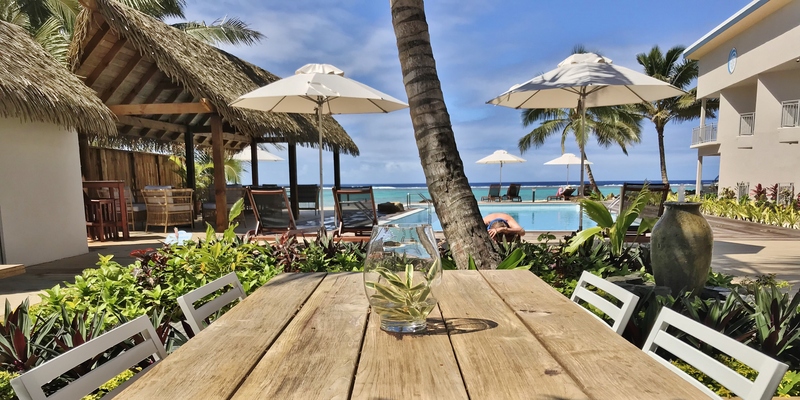 A particular front dining area of the Sheraton Tokiriki was not being utilised very well by guests due to the heat making it unbearable to sit outside. 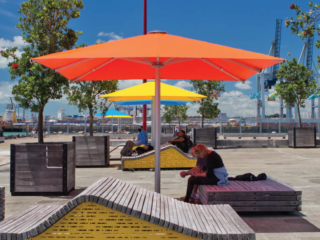 Shade7 Managing Director Michael Pearce assessed the site and recommended Shade7’s large Tempest commercial umbrella to create shade for this space. 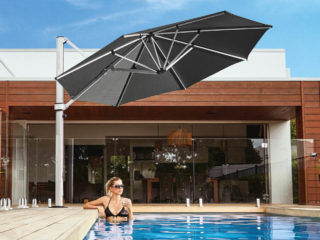 The Tempest umbrella is a very large telescopic umbrella that has specifically been designed to withstand harsh commercial environments of sun, wind and rain. 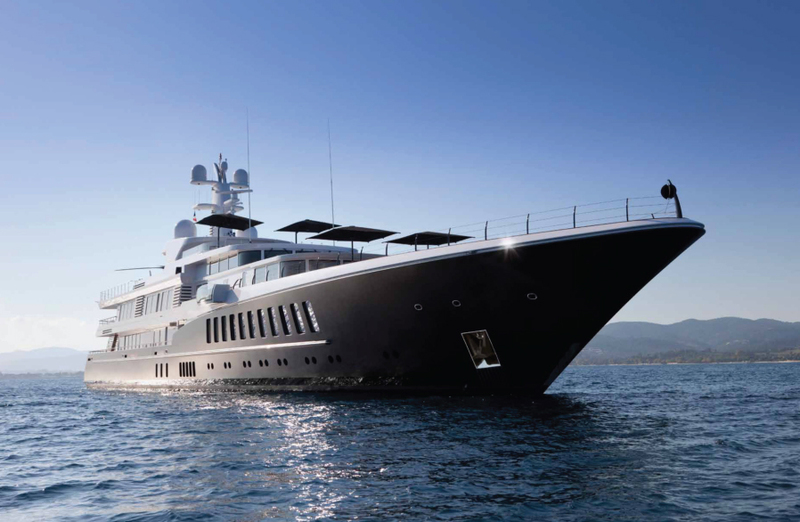 It has been engineered to endure wind gusts of 80-100km/h while open which means it can remain open most of the year. 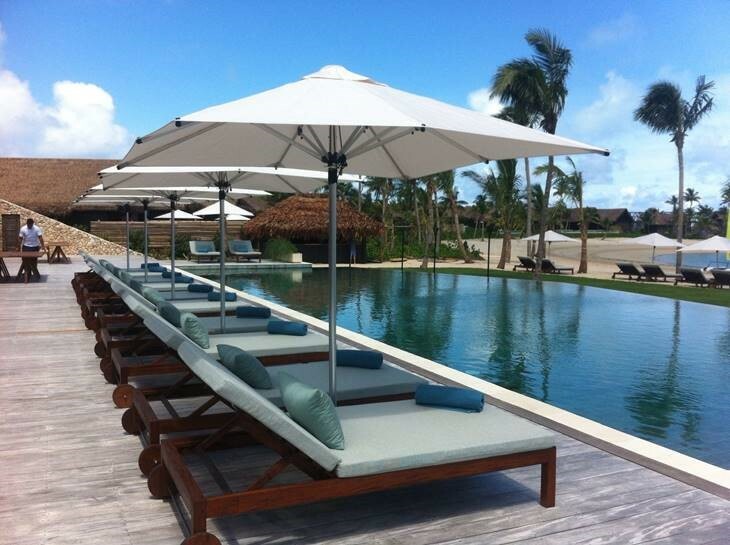 The Sheraton Tokoriki ordered five of Shade7’s largest 5m square Tempest commercial umbrellas in Navy Blue to match the decor of the resort. 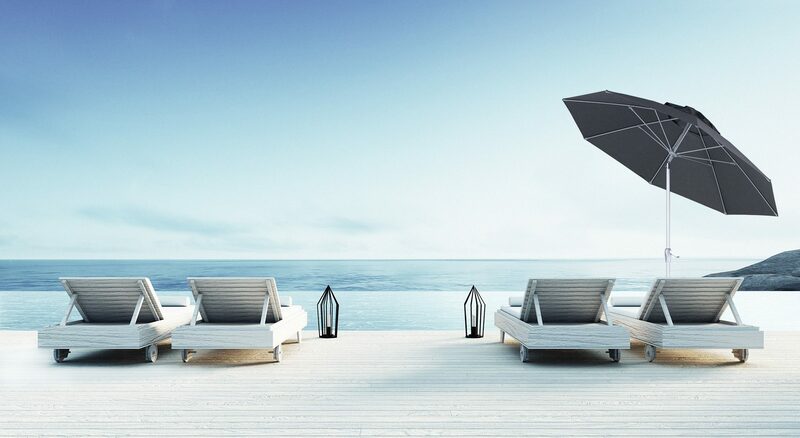 Each umbrella offers 25m² of shade which now offers a reprieve from the heat for guests. 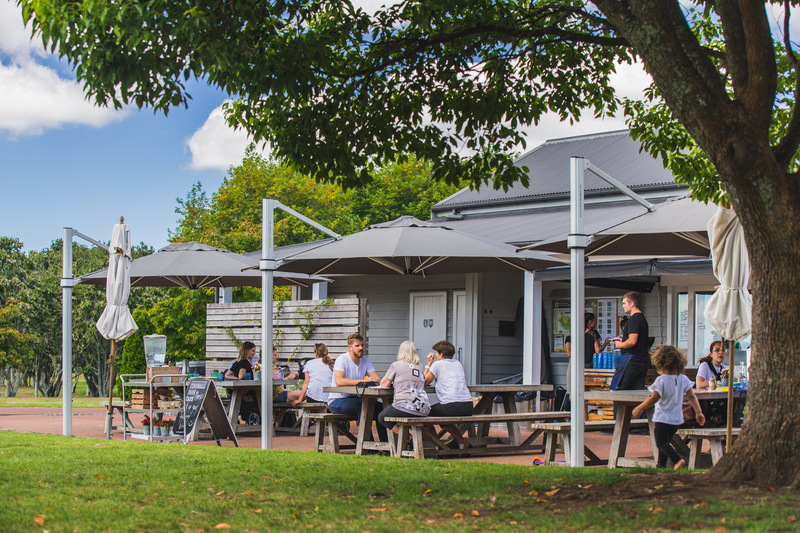 Michael Pearce explains that “The Tempest umbrellas have transformed their space into a fully functioning dining area with generous shade and light rain protection”. 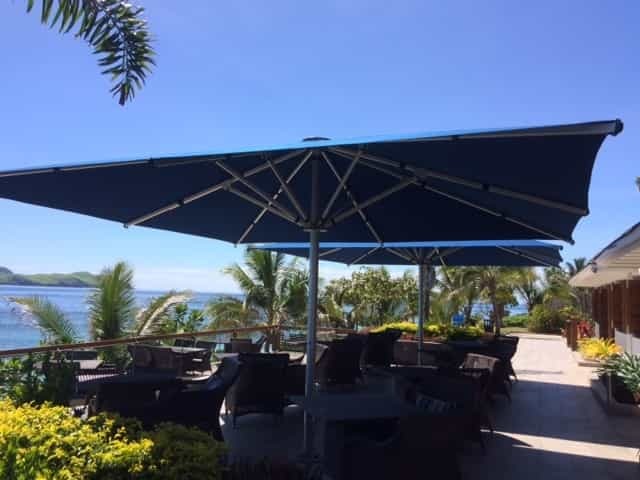 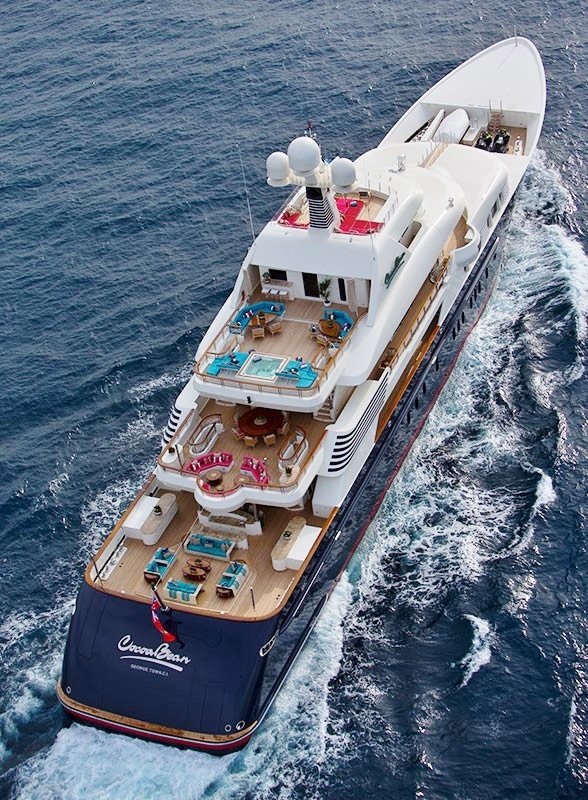 The Sheraton will also benefit from the Navy Blue acrylic canvas canopies being made from a premium marine-grade fabric with the best available colour fastness rating (7-8 out of 8), which is supported by a 5 year warranty. 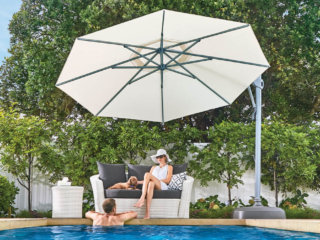 It also has the highest possible UV protection rating (UPF 80) which offers excellent sun protection for their guests. 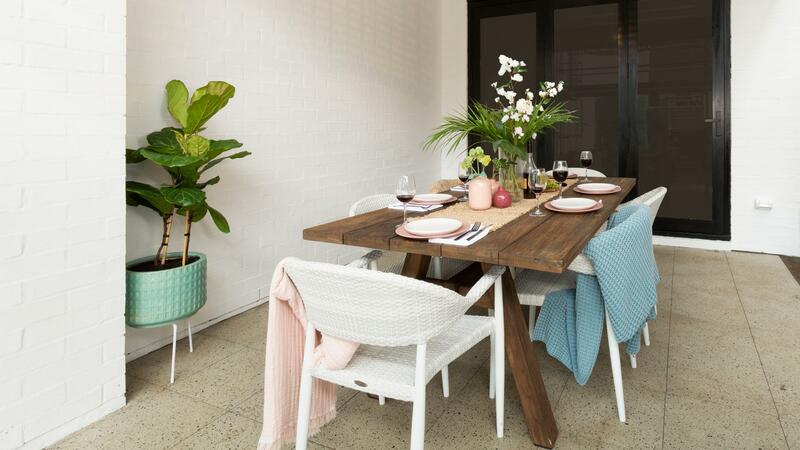 Shade7 have been supplying both commercial and residential solutions to customers all around the world. 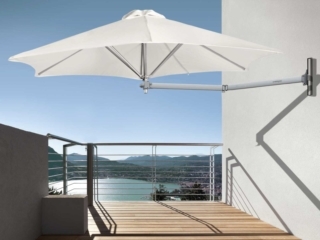 Contact Shade7 directly to discuss your commercial requirements.